This is devoted to Jeeps and the off-roading lifestyle. Buy a single copy or subscription to JP magazine. Basically a do-it-yourself manual for any Jeep owner looking to modify, restore, and maintain their Jeep, and each issues contains articles on products, how-to's, upgrades, performance tests, product shootouts, and more. Events are also covered in the magazine, from trail rides in the USA to international competitions and off-road events. Also featured are stories on Jeep history, news, and concept vehicles. 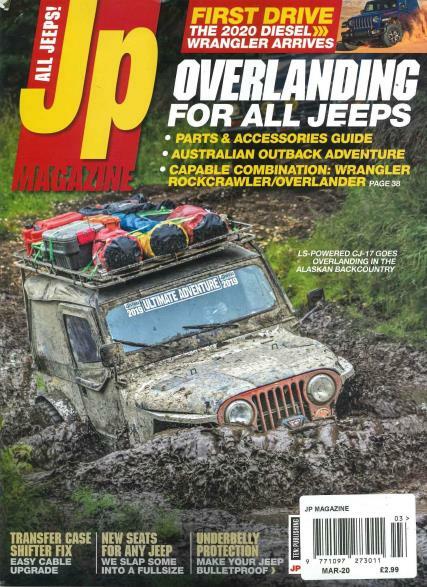 The magazine covers Jeep trends and trends in the aftermarket industry.